Czaja Metal Products Plant is a company operating in the metal industry since 1973, during this period we have managed to develop a strong market position. The company specializes in the production of components of LPG and CNG, mainly volatile phase filters. Filters LPG / CNG and other elements of gas installations produced by our company are of the highest precision performance and excellent technical parameters, which is constantly telling us our customers ..
We work with distributors, wholesalers and producers installations in Poland and around the world. We also produce details, and gravity die-cast alloy Zn-Al and Al. 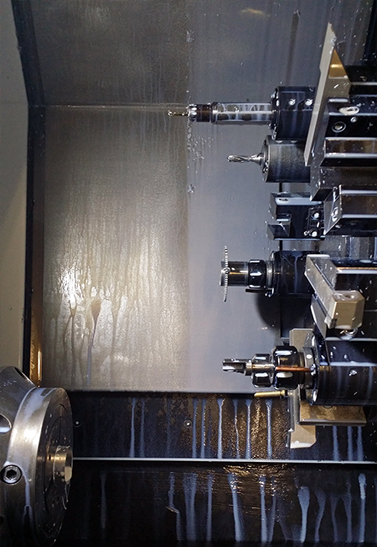 We offer a service machining and casting performance based on our own or tools. From 2013 we have been certified quality management system ISO 9001. It has specialized staff which guarantees high quality of our products, the continuous upgrading of technology production and extending the offer. We guarantee attractive prices, constant and fast delivery and professional service. We are confident that after the first delivery will state our regular customers. Remember the state that buying directly from the manufacturer get the best quality and price conditions. If you have any questions, please contact us by phone or email, with the desire to give information. We invite you to cooperation.